There will be a new Friday & Saturday Schedule after April 19. We wish Everyone a most wonderful Holiday Season! For the Safety of our Students and Families, Ki Martial Arts – Westchester Krav Maga will not be holding classes at the Tuckahoe location starting Monday, January 2, 2017. All Classes will be held at the Anshe Sholom Synagogue, 50 North Ave, New Rochelle, NY 10805. Please see the New February, 2017 Schedule for all class times. We thank all of our students for their commitment and loyalty. We are looking forward to seeing everyone at Anshe Sholom. 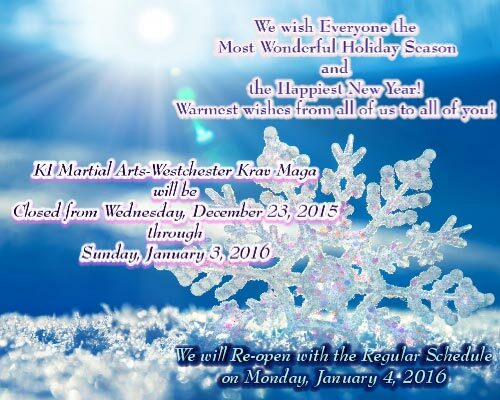 Ki Martial Arts – Westchester Krav Maga will be Closed from Saturday, December 24, 2016 through Sunday, January 1, 2017. We will reopen on Monday, January 2, 2017. 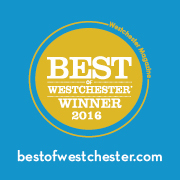 KI Martial Arts – Westchester Krav Maga will be CLOSED Friday, April 22, 2016 through Sunday, April 24, 2016. We will RE-Open on Monday, March 28, 2016 with the regular schedule. Ki Martial Arts/Westchester Krav Maga will be closed on Thursday, February 11, 2016 through Wednesday, February 17, 2016. We will reopen on Thursday, February 18, 2016 with the regular schedule. We will reOPEN on Tuesday, SEPTEMBER 8, 2013, with the Regular Schedule. Have a fabulous end of Summer, and Labor Day Weekend! KI Martial Arts – Westchester Krav Maga will be CLOSED on Friday, July 3 – Sunday, July 5, 2015. The regular schedule will resume on Monday, July 6, 2015. We will also be CLOSED on Wednesday, July 15 – Sunday, July 26, 2015. The New Schedule will start on Monday, July 27, 2015. Friday, July 4 – Sunday, July 6, 2014. Saturday, May 24 – Monday, May 26, 2014.